I have been following the major road construction players for some time since Project Bharatmala was announced last year. As this project is for 5 years duration till 2022, I think this can be a major investment theme going forward. With the targets set forth in Bharatmala Pariyojana - 35000 Kms of roads & highways across the country with an estimated expenditure of Rs. 5.35 trillion in Phase 1 (with more to come) - I am sure the good players in this space can make a hefty bounty! Key Parameter 1 : Operating Revenues - Q4FY18 has been estimated on the basis of 3 Quarter results. DBL has grown topline at a very high growth rate. 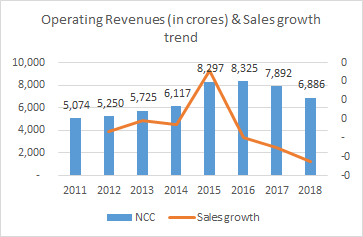 NCC - Bad topline growth even though it has the biggest order book of all the players. KNR is second. Its topline is flat in average years but has shown good growth in years when order activity has picked up. SIL - Relatively flat topline. Even declining in good years of 2017 and 2018. KNR and ABL have low debt compared to other four. DBL has consistently reduced its debt/equity ratio while also growing the topline and bottomline. 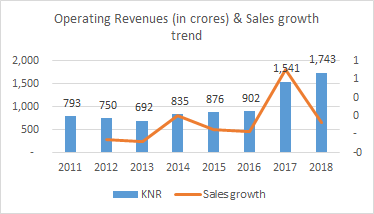 KNR is the only company which has had positive operating cash flows all throughout the 7 years. 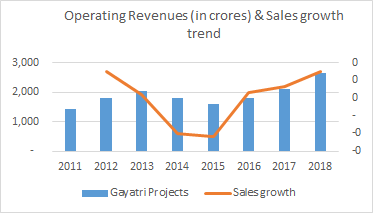 DBL emerges as the quickest in terms of PAT CAGR growth. PAT/OCF - The closer this ratio is to 1, the better it is since it means that there is no major difference between PAT and OCF. But in the road construction sector, payments can get stuck with the govt for multiple quarters before flowing to cash flow via reduction in receivables. So wherever you see a negative PAT/OCF, it could be because of stuck payments as a result of which you can see a negative PAT/OCF in one period buy a bump in PAT/OCF in the succeeding period. With the onset of Hybrid Annuity model, cash flow position of all the players should benefit since 40% payment is made by the govt upfront. I will be uploading some key profitability metrics, geographic presence of each player, type of projects and valuations in this post itself soon. That will enable more informed decision making. IMO, the best analysis for investment purpose should be kept simple to understand. Past performance can in no way guarantee future performance. But it can certainly give some confidence to take investment decisions. All of the above companies are well established businesses with a strong track record in execution. KNR is a bit conservative in bidding while Dilip Buildcon is the most aggressive which is apparent from their Order book and PAT growth as well. ABL sits somewhere in the middle of these 2. On the flip side, DBL has high, albeit reducing, debt. Govt isn’t able to find the money for investment with oil price (and subsidy burden) rising and populist pressures mounting in an election year. Projects get delayed due to land acquisition issues. NDA govt is not re-elected in 2019 and the new govt stalls the program. I invite esteemed VP members to share their opinion on the potential of road construction players over the coming 5 years. I feel you should add the parameter of Execution i.e. ontime completion record and Early completion incentives received by each company as I feel, in infra space only those who execute well survive longer. Sure, I will include it in the next set of parameters. The profitability depends on saving on each of the components .Apart from getting the ward of contract of making any road project One must consider the Cost components. Other area worth comparison could be if they use sub-contracting for manpower and equipment. e.g. 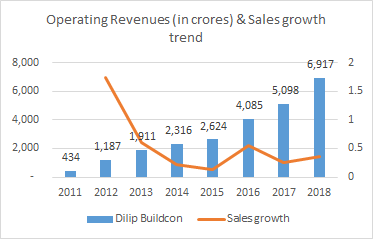 Dilip Buildcon does not use subcontractors… they own all the equipment and have their manpower so they are asset heavy model but this helps them to have a better control on the execution cycle and they are able to execute faster and with better margins…Good thing when industry is booming but this will become a pain when industry slows down. Recently Listed H.G. Infra Engineering Ltd can also be considered here. Good thread to start. Would like to share my views on sector. First of all NCC, Gayatri & Simplex is not the right choice as pure Highway players. Instead select IRB, Sadbhav and G R Infra (high order book). 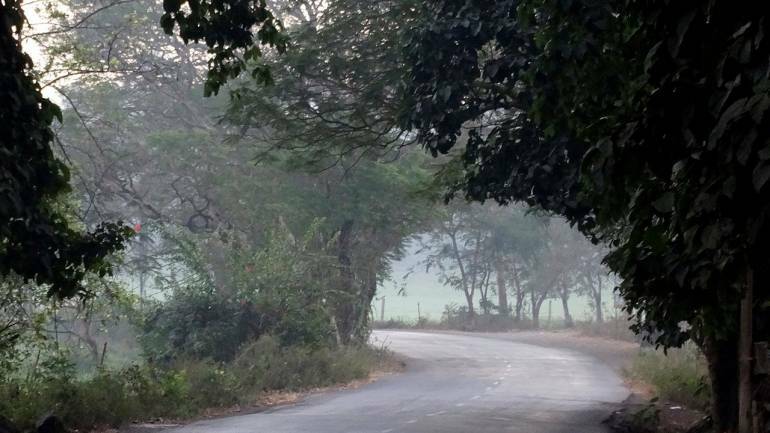 Highway most likely will remain major sector for investment by Govt. in coming years. Highways has already become highly competitive space squeezing margins. Bitumen is the most costly item in highway works and is generally executed in last 6-9 months out of 24-30 months construction period. Factoring price escalation of Bitumen 18-20 months prior, which is linked to crude prices is a challenge and risk to profit margin. Timely completion is not a challenge as all approvals and payment are secured and all players are well experienced. Qualified manpower will be short. Works awarded on Hybrid Annuity basis will require 6 months for Financial closure. Execution of works can be considered as 20%, 35% & 45% of value every year for 36 months from award. Normally the NPM is 5-7%. More players expected to list this year viz; G R Infra, Patel Infra and many players inspiring to grow will keep profit margins of established players under pressure in coming years. Hi all - accept my apologies for not responding sooner but I’ve been really busy with my day job this past week so not able to follow anything. I’ll prepare some more parameters to evaluate these players comparatively hopefully this week and sharing too. Please admit that this exercise is quite manually intensive so I don’t know to what extent I can accomodate company addition / change request but I’ll be happy to share the excel so members can make the changes themselves! I’d just say on the competition part, this field has always been competitive since there is really no competitive advantage you can have apart from experience, track record of execution, local network (maybe) and perhaps scale of Operations. But still these companies I’ve listed have been surviving successfully (profitably) in this industry for the last decade even during lull period. With Bharatmala, I believe the opportunity size is big enough for all the players to have a piece of the action. Sadbhav Engineering’s (SEL) earnings were below estimate led by higher interest and employee expenses. PAT grew 2.4%yoy to Rs699m (est: Rs815m). 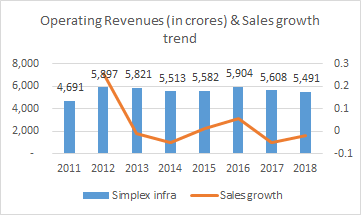 Revenue grew 6.9%yoy to Rs11bn (largely in line), EBITDA grew 13.2%yoy to Rs1.2bn but below estimate of Rs1.3bn due to increase in employee expense by 45.6%yoy and 46.7%qoq to Rs552m and EBITDA margin grew 60bp yoy to 11.2%, below estimate of 11.7%. Interest expense (gross) grew 8.4%yoy and 16.2%qoq to Rs493m due to increase in finance charges led by higher utilization of non-fund based limits. Gross debt as on Mar 2018 stood at Rs14.9bn as against Rs14.5bn on Dec 2017. SEL expects gross debt to reduce by ~Rs2bn in FY19 led by repayment of loans by SIPL from proceeds of MBCPNL refinancing. SEL’s working capital levels are likely to reduce going forward led by improved debtor recoveries (~Rs4.3bn) and receipt of mobilization advances for new HAM and new EPC projects (~Rs5.9bn). Order inflow for FY19 stood at Rs85.9bn with current order backlog at Rs132.5bn (3.8x FY18 revenue). So far in Q1FY19 SEL is declared L1 in two projects worth Rs25.2bn (Likely EPC value). SEL has guided for order inflow of Rs80bn in FY19. Gross toll collection grew 10.7%yoy to Rs2.6bn led by strong traffic growth on key assets. FY19 guidance: Net revenue at ~Rs41bn, EBITDA margin at ~12%, capex of ~Rs1bn and nil effective tax rate due to MAT credit benefit. Key positives: Strong order inflows. Key negatives: High receivables days. Impact on financials: Upgrade in FY19E earnings by 3.2% led by lower effective tax rate and no material change in FY20E earnings. 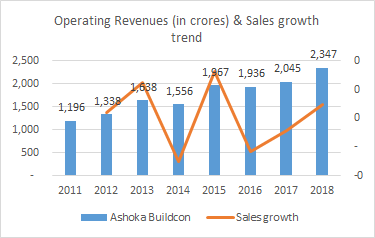 We estimate 20% revenue CAGR over FY18-20E for SEL, led by a strong order backlog of Rs132.5bn (3.8x FY18 revenue) and a high share of executable orders. Margins and working capital levels too should improve going forward, led by a better revenue mix, improved recoveries and receipt of yet to be drawn mobilization advances. Further, the current and future bid pipeline from NHAI, MORTH and state governments remains strong. We estimate 32.4% pre-tax earnings CAGR over FY18-20E. Adjusted for Rs137/sh (of SEL) value of SIPL, SEL trades at 13.4x FY20E standalone earnings. Maintain outperformer with a revised SoTP based TP of Rs445. You should consider welpsun Enterprises as well. @NamantS, could you please provide some analysis on the company you mentioned. Or else it may not be very helpful for the community. Yes will try to post as soon as I can. Recent Capacite Edelweiss research report. KNR declined by a whopping 6% today! Anybody know why? I can’t find anything. It’s trading at a very attractive price unless something is fundamentally wrong with it. Something like Dilip Buildcon? Let us keep this thread for pure Road / Highway Construction Players.